Sandeep Narayan was born into a family of musicians and music lovers. A house nearly always filled with visiting musicians and students of South Indian classical (Carnatic) music, Sandeep was exposed to this ancient tradition from before he was born. Although his decision to relocate from Los Angeles to Chennai in 2006 in order to take up music as his full-time profession was unprecedented, it did not come as a shock to those who knew the extent of his passion. After undergoing his initial training in Los Angeles from his mother Smt. Shubha Narayan, Sandeep received advanced lessons from the revered musicologist Calcutta Sri K.S. 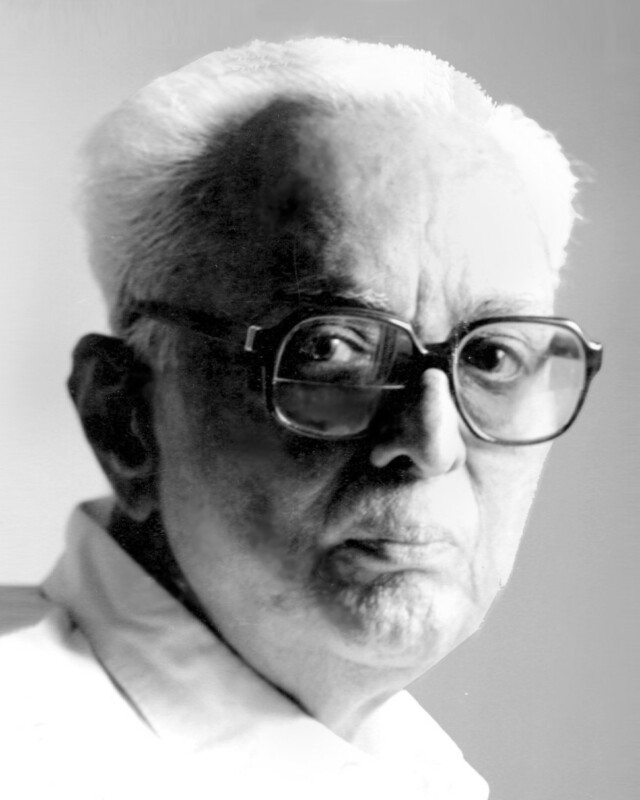 Krishnamurthy in Chennai. After Sri Krishnamurthy’s demise in 1999, Sandeep began training under the well known vocalist, Sri Sanjay Subrahmanyan. Smt. Shubha Narayan was one of the first teachers of South Indian classical (Carnatic) music in Southern California. Having trained under eminent musicians such as Thiruparkkadal Sri Srinivasa Iyengar, Thanjavur Smt. 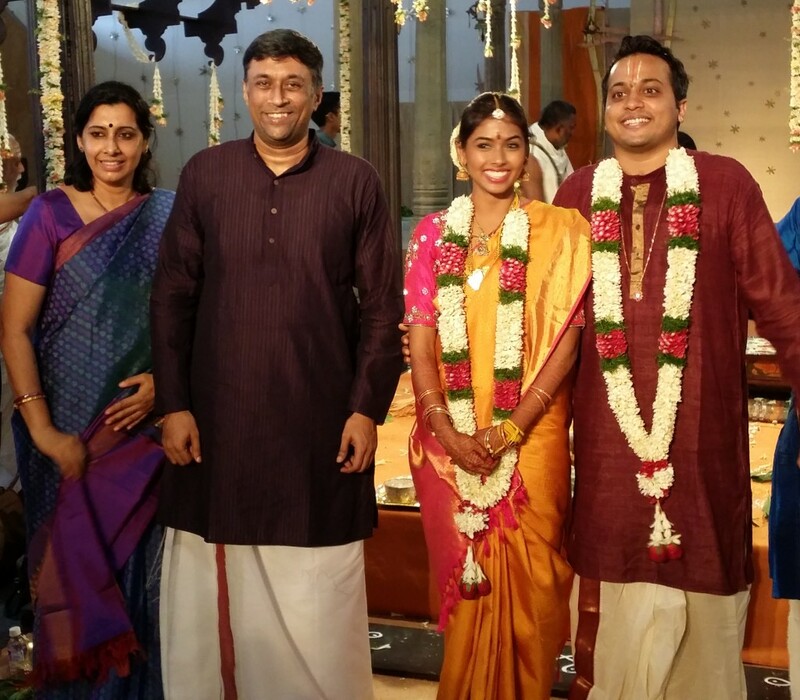 Soundaramma, and Madurai Sri Krishnan, Shubha provided Sandeep with a strong foundation. Sandeep’s father, Sri K.S. Narayan, also had training in Carnatic music as a young boy growing up in Thiruvaiyaru, an area of South India known for it’s rich musical tradition. In the early 1980s, Sri K.S. Narayan began one of the first Carnatic music organizations in Los Angeles known as the “South Indian Music Academy” (SIMA), which is still one of the premier organizations showcasing South Indian classical arts in the United States even today. After establishing the organization and serving as it’s president for over a decade, Sri K.S. Narayan stepped down in order to allow the younger generation to take over, ensuring a bright future for both SIMA and Carnatic music in Southern California. Sandeep is the youngest of three boys in the Narayan family. 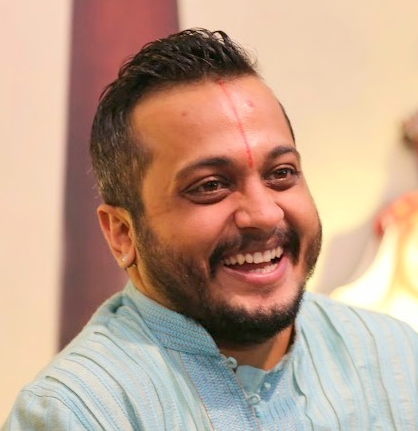 His eldest brother Nikhil Narayan is a flautist trained by the legendary Sri N. Ramani. His other brother Nirmal Narayan is a mrudangam artist who received training from the well known mrudangam artist, Umayalpuram Sri K. Sivaraman. The encouragement and guidance from his brothers at an early age, has also been an integral factor in Sandeep’s musical pursuits. With such a musically inclined family, it is no wonder that Sandeep’s parents would overhear him singing songs he had heard his mother teach in class when he was just a toddler, which he had not actually been taught. These early signs of his knack for music led his mother to start teaching him at the young age of four years old. His debut performance under her guidance in 1996, was a major stepping stone to pursuing the art more seriously. The following year, Sandeep took a break from school in America and moved to Chennai, India with his mother for the sole purpose of receiving advanced training from Sri K.S. Krishnamurthy. Sandeep became one of Sri K.S. Krishnamurthy’s youngest disciples, as his roster of students boasted of all the top performing artists, including Sandeep’s subsequent guru, Sri Sanjay Subrahmanyan. In fact, it was this continuity in musical styles that played a major role in Sandeep deciding to continue lessons from Sri Sanjay after their guru Sri K.S. Krishnamurthy passed away in 1999. Beginning lessons with Sri Sanjay in June of that year, Sandeep formed a very strong bond with Sri Sanjay both inside and outside the classroom. Today, Sandeep’s music is largely influenced by his gurus, but also by that of many senior artists of both past and present. Upon completing his Bachelor’s degree in Law & Society from the University of California, Santa Barbara in 2006, Sandeep made the permanent move to Chennai. Pushing through the numerous obstacles of being the first individual to make such a bold move from the US to India for Carnatic music, Sandeep was able to finally change the minds of many organizers and rasikas, who doubted the ability of someone born and raised abroad to pursue this art full-time. Sandeep has completed concert tours of North America, the United Kingdom, Germany, Australia, Singapore, and Sri Lanka, and is regularly accompanied by leading artists in the field. Sandeep also enjoys teaching and conducting workshops, especially to Western audiences. 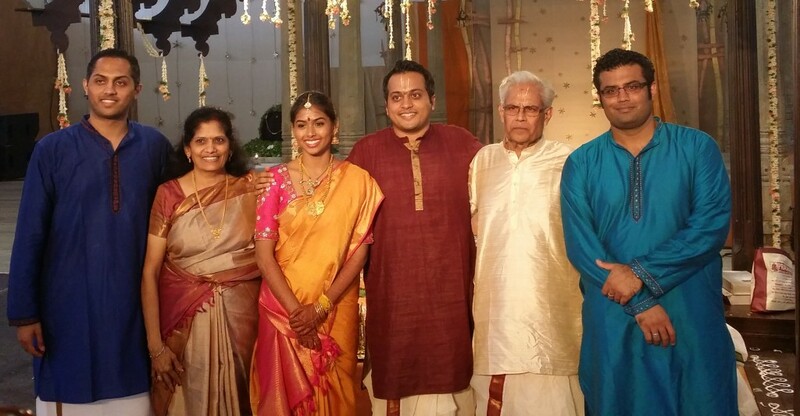 The combination of being brought up in America and having lived and learned music for so long in Chennai, puts Sandeep in a unique position to serve as a cultural link between Carnatic music and audiences around the world. 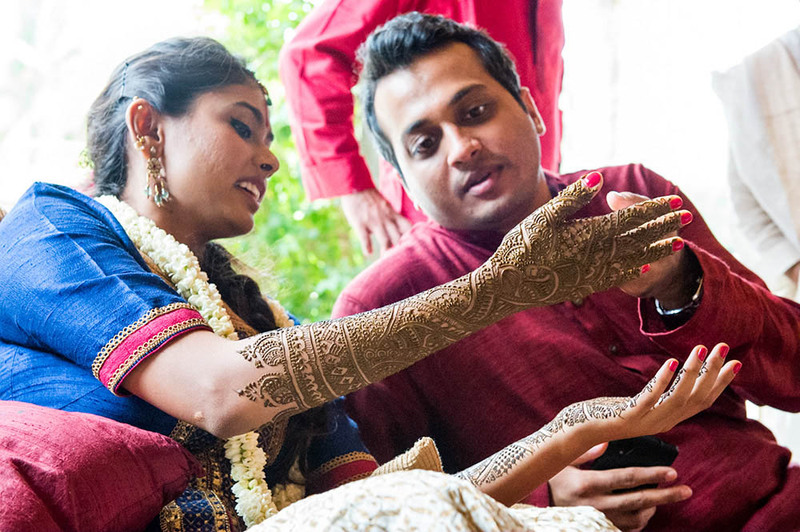 In September 2014, Sandeep married Radhe, a bharatanatyam dancer and student of Leela Samson. The two currently reside in Chennai, pursuing their passions as performing artists. Sandeep Narayan’s musical resume can be downloaded here.